We have witness the significant growth in mobile internet. Gone were the days where we used to surf on mobile devices that only show little piece of data and internet connectivity is very slow. After the revolution of mobile internet generation i.e. 2G, 2.5G(Edge), 3G and now 4G. 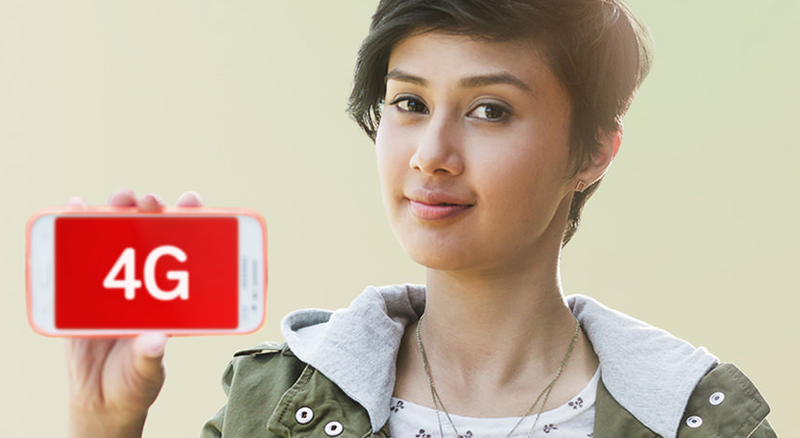 Here we will talk about what you can do with power of 4G which has been launched by Airtel/Airtel 4G in India recently. In IT we used have presentations that has been given on point of demand or at very short notice. I was out of station for some reason and presentation work has been assign by concern faculties at the same time. This presentation need to be presented within short notice of 2 days. I was in rural part of Gujarat so finding cyber cafe there, was really hard and city was far away from that village. I was ready with my presentation just wondering how to present it. At that time I was using 3G on my device. I convenience my professors to allow me for online presentation on Skype. But even in full coverage 3G was not fast enough. There I meet one of my friend he was also tech savvy. He was having Airtel 4G connectivity in his device. Since I was knowing 3G is not fast enough, I took chance to try 4G. Believe me guys presentation on the Skype to my faculties was flawless. This was my first time experience of Airtel 4G and it was impressive. There is general myth in users that 4G is just increase in download speed. But that is not true. Earlier when we want to upload images or videos on social media from smartphone, either we will wait for Wi-Fi connection or if we upload from mobile data then we keep stuff for upload and leave our smartphone on standby for long time. I also need to upload many images, files, videos and MP3 online for sharing with friends on social media. 4G network has also provide user to even upload their stuff on internet. This help the people like us that have lot of stuff to upload on net. Even 4G also have benefits for corporate presentations or video conference. If I will be given 4G connectivity I will never have presentation for video conference or presentation. Since 4G provide larger bandwidth to user so whether it is data upload or download it is always much faster than any other type of internet medium. No matter wherever you are you can always be ready for conference call. Beside corporate world and study aspect there are much more users aspect to consider. Now a days smartphone not only got amazing processing power but also provide high quality camera equipped with them. So video quality is much more clear and you can talk with your live loved once and your friends flawlessly on chatting app that allow video calling like Viber, Line and so on. Not to forgot it also save your calling charges and international calling charges. My favorite time-pass during traveling is watching videos and listing to online streaming MP3. I was used to get glitches while listening to MP3 online or while watching videos they used to stream in lower resolution. This will spoil your mood sometime. But lightning fast speed I can do this with ease. For any queries comment on below section. Stay tuned for more. Thanks for reading.